I am so happy that that had a happy ending – those guild breakups can hurt and sometimes they can have some hurtful things happen. I am certainly happy to see that your team pulled together and reunited. Good luck with your future endeavors. I’ve run my guild for quite a long time, I have never even considered herding cats, ummm, I mean raid leading. Normal and heroic raiding is difficult to organize and run, having to ask people to sit a fight because you know they are not up to it is hard to do, but taking things into Mythic is a level that I don’t think many can handle. Running a guild even a small one on top of leading has got to be even more difficult. I am quite content living vicariously through the progress the guild makes, and I think our decision to just focus on getting Heroic AoTC in a tier was a good one. I have seen too many guilds on my server implode because they forced Mythic runs in order to be #1. I’m glad your guild is staying together. Best to you for getting them all down on Mythic. Great it ended well. :-D Guilds can be really stressful places, especially when there is ambitious raiding involved. I am happy it all worked out! Nothing makes me happier than to see a guild coming together and BEING a guild and working through it. A GMs task may be thankless and tiring and stressful at times but being able to get the whispers of people who love the guild make every bad time worth it. And I know you felt that too with everyone on and just that show of support spoke volumes. What a rollercoaster week, Cinder. It has not been an easy time for Guilds. I haven’t been on Twitter, so I was out of the loop. 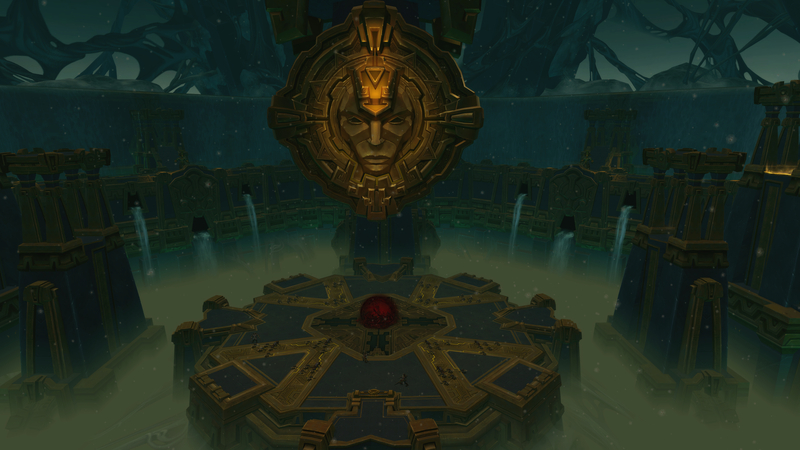 I am no longer raiding, so maybe my thoughts are not that valid anymore, since I lack experience, but I can easily recall back during WotlK, when the encounters with “ONE mistake from ONE player and its a wipe” became more and more. It is just a horrible guild-crushing thing.